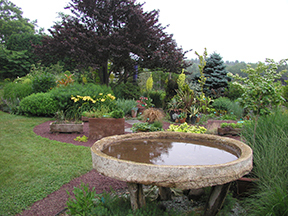 Wander Among ourTwo Acres of Display Gardens to find Inspiration for Your Own Gardens. 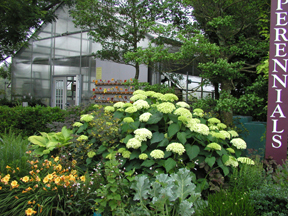 Come and explore our growing fields, display gardens and perennial sales area. 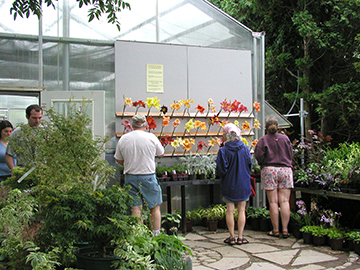 Tranquil Lake Nursery is open Wednesday through Sunday from 9 a.m. to 5 p.m., starting April 22 through the end of July and Wednesday through Saturday from 9 a.m. to 5 p.m. in August and September through October 1. (We are closed on Memorial Day, July 4th and Labor Day, as well as Sundays in August and September). On weekdays, Mondays and Tuesday we are not open to the public. 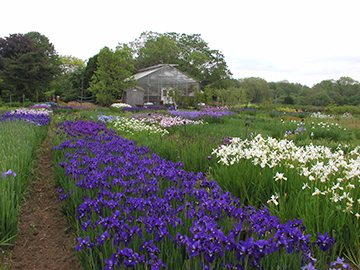 However, there are always staff here at the nursery working to maintain the fields and gardens. If you need to pick up and order on these days, it can be arranged by appointment. They can also dig a few daylilies. If you decide to visit on these days and have a larger order, we ask you to send your request in advance to help us prepare. 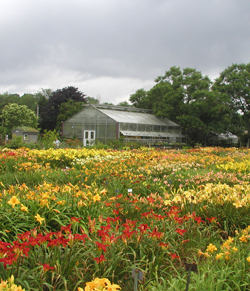 Our on-line catalog offers selections from our extensive collection of field-produced daylilies, which is the largest in the Northeast. We also grow a substantial and diverse number of perennials in containers, and these are also available at the nursery. 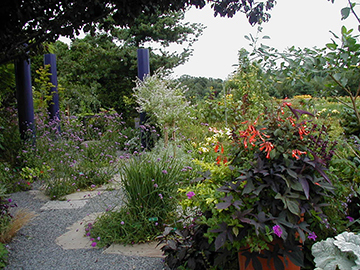 Our nursery gardens display many imaginative perennial combinations that are low-maintenance, drought-tolerant and offer a long-season of bloom. We offer many lectures on weekends in the spring and the fall, and tour groups are always welcome. Call or write for more information, or to make a tour reservation. Our responsibility is to supply the correct, true-to-name, variety in excellent condition. If, upon receipt, your plants are not satisfactory for any reason, promptly return them with the original labels for a full refund. We thrive on repeat customers and will do whatever we can to keep our customers happy.